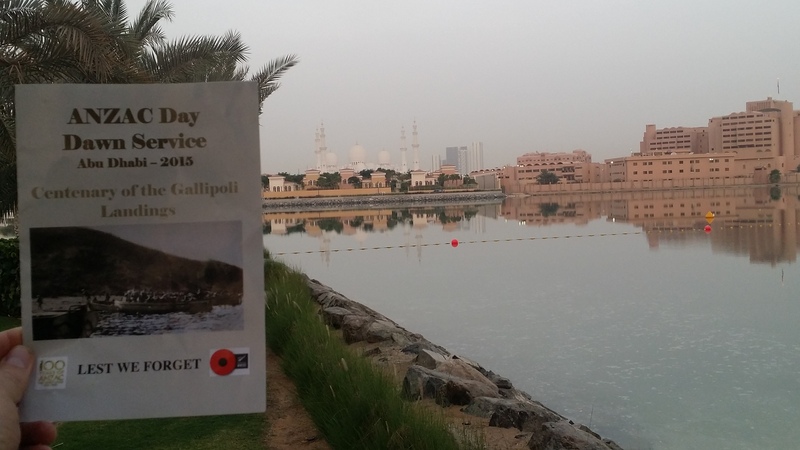 ANZAC Day Dawn Service 2015, Abu Dhabi. Saturday 25th April. Abu Dhabi, United Arab Emirates. A moment of togetherness and emotion for the over 700 who attended the Centenary Dawn Service on the lawn of the Fairmont Hotel this morning. ANZAC Day Dawn Service, Abu Dhabi, 2015. Centenary of the Gallipoli Landings. Grab a copy of today’s Sunday Star Times in New Zealand for details and photos from this morning’s service, written and taken by New Zealand author Winston Cowie. I’ll update when they are online. We will remember them.